This isn’t going to be what you are used to seeing on this blog. It’s not a rant about a film, how the industry works or suchlike. This one is a normal one. 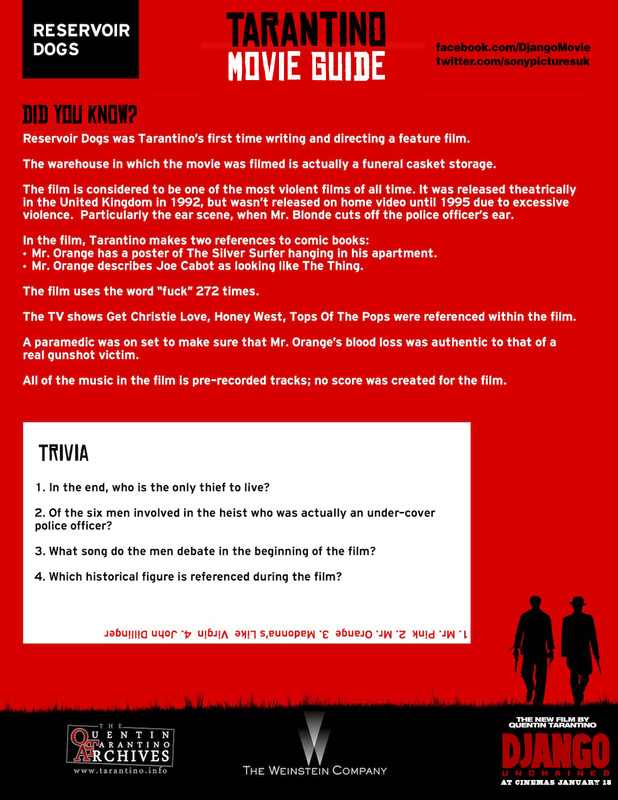 Talking about Tarantino’s new movie, Django Unchained. 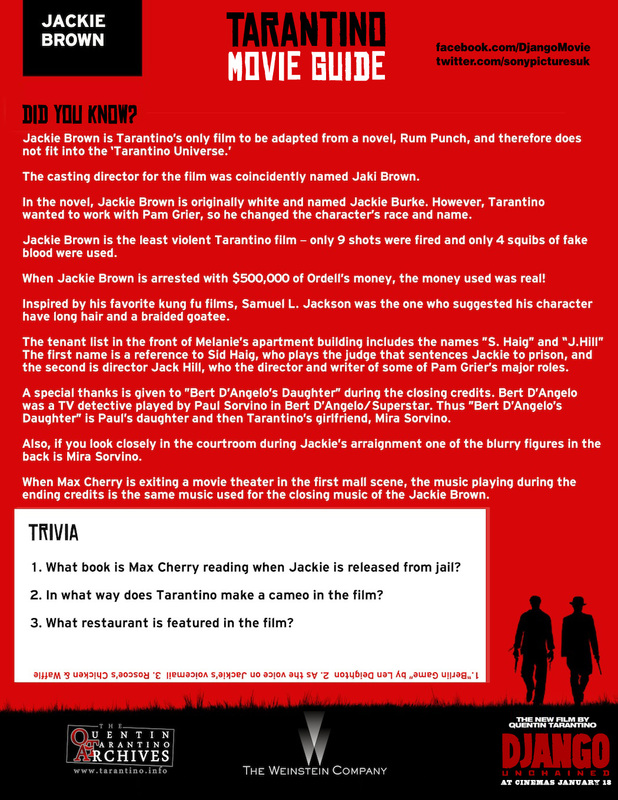 I haven’t seen the movie yet but from what I have heard – and read in some reviews – that the film is “Classic Tarantino”. Or in other words “About twenty minutes too long!”. The below is what I was sent as the film opened in the UK yesterday. 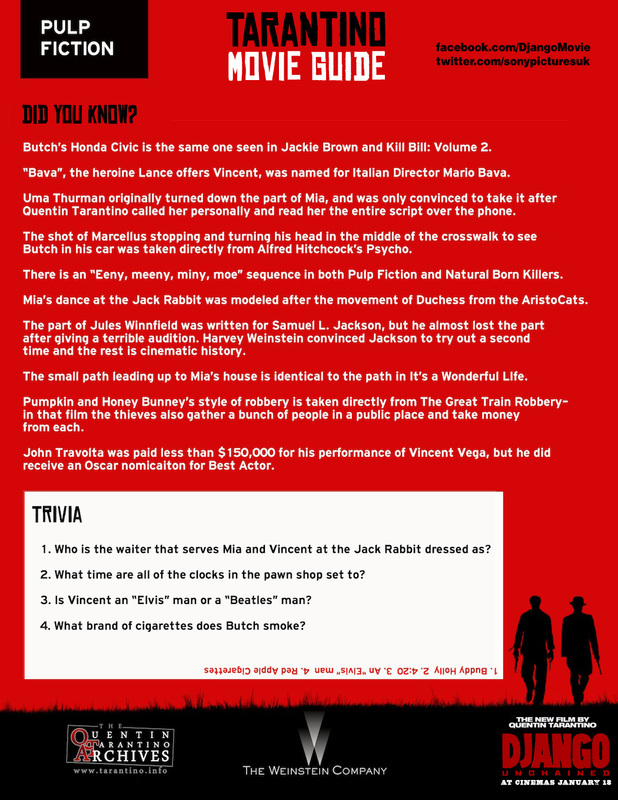 They are a nice set of infographics with some nice bits of trivia about the relevant film. They also sent over a nice one about bounty hunting. 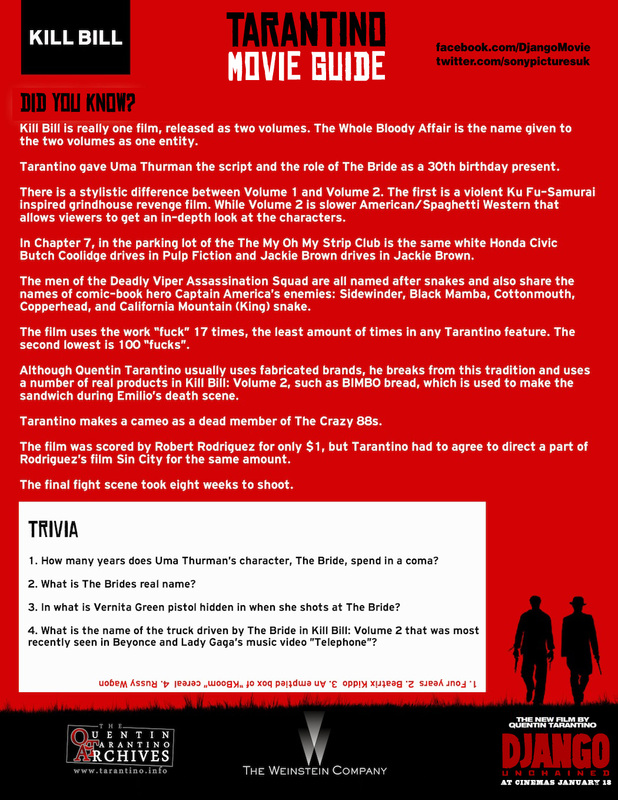 The “movie guides” are below. 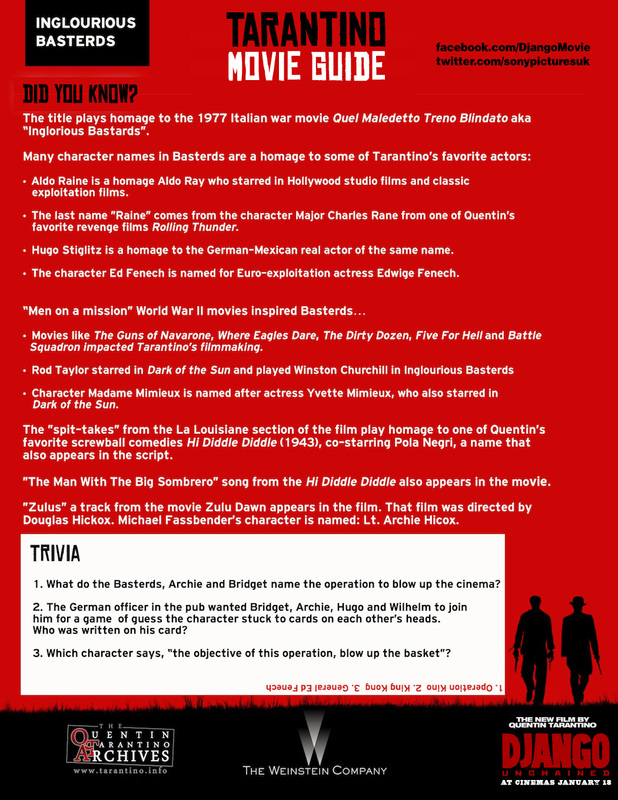 In chronological order with Reservoir Dogs first… You will have to click on them to see all the information.